Everybody needs a comfortable sleeping area. Your dog is no exception. With literally thousands of available sizes, colors, styles and shapes, shopping for dog bed can be a bit daunting. 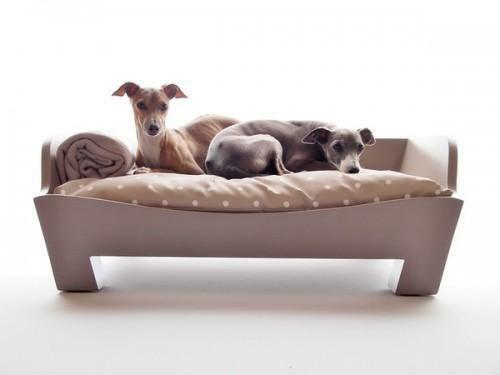 Here are some factors to help you decide which bed is best suited for your dog. For size, you have to consider how your dog sleeps. Does it curl on itself or lie flat. Once you determine the dog's sleeping style, you can deduce if you need the round bed or the rectangular one. For good measure, it will be appropriate to measure your dog's size in inches when it is lying down so you can get just the right size of bed. Get a bed with a detachable cover so you can wash the cover separately. It will also be a good idea to buy a spare cover for the bed so you can use it alternately when you're washing the soiled cover. Washing the covers regularly will prevent ticks. For stuffing it will be a good idea to mimic your sofa's softness, or whatever house furniture that your dog likes. Consider also your dog's needs. There are paddings out there with heating or cooling pads, depending on your dog's needs. Dogs are color blind. Although that statement is still highly debatable, it will be a good idea to match the color with the overall color of the living room or wherever your dog's bed is situated.